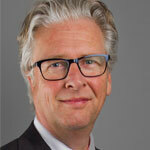 We have interviewed Wouter Pors, Partner of Bird & Bird, before the upcoming event Unitary Patent Package. Wouter tells us everything about the new draft Rules for the European Patent Litigation Certificate. What are the concrete changes? And what does this mean for Lawyers and European Patent Attorneys? New rules of Litigation Certificate: What are the concrete changes? Knowledge of tort law has been added, as well as knowledge of patent enforcement, as for instance provided by the Enforcement Directive. The addition of tort law is interesting, as the UPC Agreement does not give the UPC jurisdiction for claims based on tort. However, a defence in a patent case may of course be based on the concept of tort. E-learning tools are now more clearly encouraged, but there should also be practical training requiring personal participation. I think it is assumed that lawyers will always have had such practical training in the initial years of their career, but many patent attorneys may have little experience in litigation. In future, the certificate can only be obtained through an education at an institute which is accredited with the UPC. For a transitional period of just 1 year from entry into force of the UPC Agreement, it can also be obtained on the basis of having completed one of the “grandfathering” courses mentioned in the Rules. This used to be 3 years. This should not be too much of a problem, provided that a sufficient number of educational programs is accredited by 2017, the proposed start of the court. The criteria for experience as qualification during the transitional period have been raised. This used to be having represented a party in 2 infringement cases in 4 years and now is having represented a party in 3 infringement cases in 5 years without the participation of a lawyer, or having acted as a judge in 3 cases. I would be surprised if more than very few patent attorneys would meet this requirement. The rules on accreditation of educational institutions have now become more detailed, as have some other rules. Those are not material changes and do not affect the position of patent attorneys. Basically, the changes are gradual, not fundamental. What does this mean for Lawyers and European Patent Attorneys in your opinion? There are no barriers for any lawyer to act as a UPC representative, whereas the requirements for patent attorneys have been raised slightly. It now seems highly unlikely that a patent attorney would qualify as a representative purely on the basis of experience. Basically only education will provide patent attorneys with the right to represent parties before the UPC without the involvement of a lawyer. Are the qualifications of lawyers strict enough? Are the minimum requirements enough? Neither. I understand that it is politically difficult to impose requirements on lawyers and to impose more requirements on patent attorneys, but the logic behind that is lacking. Patent litigation can be legally very complicated, involving many aspects of private international law, competition law and other difficult issues. The CJEU case of Huawei vs ZTE involved complicated questions of competition law and abuse of right. The CJEU judgement in the Spanish appeal against the Unitary Patent Regulation has raised the issue whether Article 7 UPR only determines the law that governs ownership of a Unitary Patent or also the law applicable to licence agreements and whether that can be modified by a choice of law in a licence agreement. Even the experts do not agree on that, but any UPC representative should be able to plead such an issue. So, in my view the bar should be raised further. That of course certainly applies to lawyers. Patent litigation can only be done properly by true specialists with thorough knowledge of many aspects of the law, but any lawyer can now act as a representative before the UPC. The same of course already happens in the national courts, where you can regularly see a case fail because of bad representation. The Dutch Bar Association has recently given lawyers the option to indicate their specialisation in its online database, but there is no check on actual quality, unless there is an accredited specialisation association. This has led Willem Hoyng, Dirk Visser and myself to take the initiative to set up such an association for The Netherlands, together with Carreen Shannon and Thera Adam. This association, the Vereniging Intellectuele Eigendom Proces Advocaten (Association Intellectual Property Litigation Lawyers, VIEPA), will have exams for lawyers who want to register as an IP litigation specialist, as well as strict requirements for maintaining their experience. There will be a sub-category for patent litigators, who are required to be an EPLAW member as well (which in turn requires experience in handling patent litigation). This is intended to guarantee a minimum level of quality in handling IP litigation, which can be checked at a glance in the Bar Association database. Lawyers have proven to be able to actively and efficiently self-regulate; the disciplinary systems for lawyers in most countries are based on this. I think our example of introducing a special IP qualification could be followed by lawyers in other countries. How can an in-house patent attorney select the proper representative? Under what conditions can / should an in-house patent attorney hire a lawyer and when a European Patent attorney? The answer varies depending on the size and experience of the company. Some companies have a lot of experience in patent litigation, because it is vital for the value of the company or because they operate in a highly litigious sector. These companies have highly specialized in-house lawyers doing strategic coordination of patent litigation. Richard Vary at Nokia has as much knowledge as any patent litigator. In-house patent attorneys may also be very experienced in handling the company’s legal IP strategy. Frank Landolt at Ablynx is very sophisticated. Those companies have no difficulty in selecting their litigators; they can assess the quality of their representatives without any problem. I also know a cloud technology start-up company where the management, which does not include a lawyer, is perfectly capable to do a very strict assessment of their legal representatives. However, for less experienced companies and sme’s in general it is quite difficult to make a proper selection. Such companies need to be able to rely at least partly on a guaranteed badge of quality. For patent attorneys, this starts with the qualification as European Patent Attorney and the Litigation Certificate. For lawyers, it should start with a specialisation association that applies strict requirements. Next you can of course look at internationally recognised rankings, such as Chambers and Legal 500. In some countries you can also check the litigation track record online, like in The Netherlands or the UK, where all judgements in patent cases are published. That will also be the case at the UPC. Finally, you can ask a selection of firms to pitch for the work. However, I hope not to be sounding too presumptuous, but it is hard for me to imagine a case that can be safely handled by a patent attorney without an experienced lawyer, just like it is hard to imagine a patent case to be handled by a lawyer without deep understanding of the technology at hand. Even if you are planning “just” to start a revocation action at the UPC (which in the German Bundespatentgericht and in EPO oppositions is done by patent attorneys), you cannot control the arguments and counterclaims the defendant may come up with. Therefore, I expect that the future will teach that lawyers will always be needed in UPC litigation, but they should be good lawyers and know their limitations in handling technology. An interesting article for several reasons, not least the apparent competition between lawyers and patent attorneys for work at the UPC. In my opinion, the two groups don’t have a great track record of working together on litigation in any forum. If I accept that Wouter is right that a patent attorney should work with an experienced lawyer when conducting patent litigation (which generally I do), do the lawyers really concern themselves enough about achieving a ‘deep understanding of the technology’ to want to engage a patent attorney as part of the team to assist with this? That isn’t my experience, but perhaps the UPC will be a driver for change in that regard.